To the surprise of the kids, I entered from the back, laughing and Ho-ho-ho-ing, through the crowd of students, teachers, and parents. Having learned my lesson from last year, instead of throwing candy, I paused and handed the candy one by one to the stunned kids. They liked the candy, but they were amazed by me. 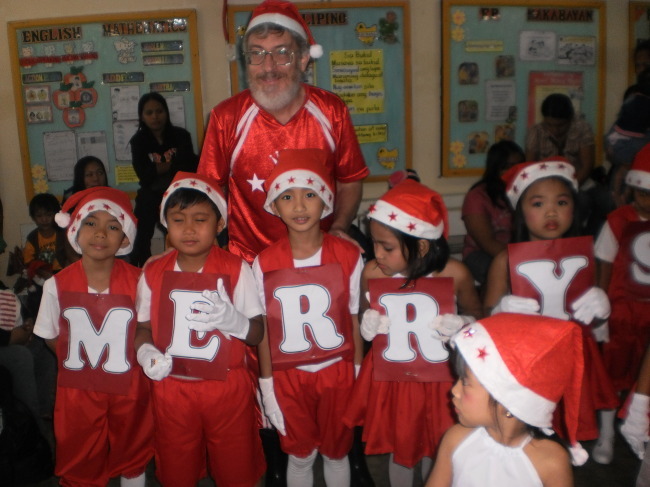 A real Santa Claus, here, at their school! Holding the candy in one hand and staring up at me, many wanted to pull on my beard. When they knew the beard was real, they were sure that I was real, and Santa Claus was here at their school. This school has the only Elementary Special Education section in the province. The section has two Special Education teachers, some volunteer teachers, and about ten students. I met the Special Education students and teachers at the assembly and then, still dressed as Santa Claus and with a fresh bag of candy, I visited them in their classroom. The Special Education students ranged from an autistic boy who stands near the back and says nothing to a Down’s syndrome girl who smiles, laughs, asks everyone, “Aren’t I the most beautiful girl in the world?” and never stops moving. They are happy, joyous, appreciative kids, full of life, and giving everyone their gift of love. I stayed until it was time for them, and me, to go. They didn’t want me to leave and I didn’t want to go. If you are ever looking for saints anywhere in the world, find Special Education teachers. They have patience, persistence, enthusiasm, optimism, and frustration, anguish, and grief. They live the full spectrum of emotions, often every day. And they can always use your help. If you are ever looking for love anywhere in the world, visit a Special Education class. Volunteer for an hour, a day, or more. Don’t worry if you don’t know the students’ language, they will tell you without words, through gestures, smiles, laughter, and hugs, how much you are welcomed, appreciated, and loved. You don’t have to be an old white guy with a beard to be loved. You will be loved and your life will be changed. You don’t have to wait for Santa Claus and Christmas. 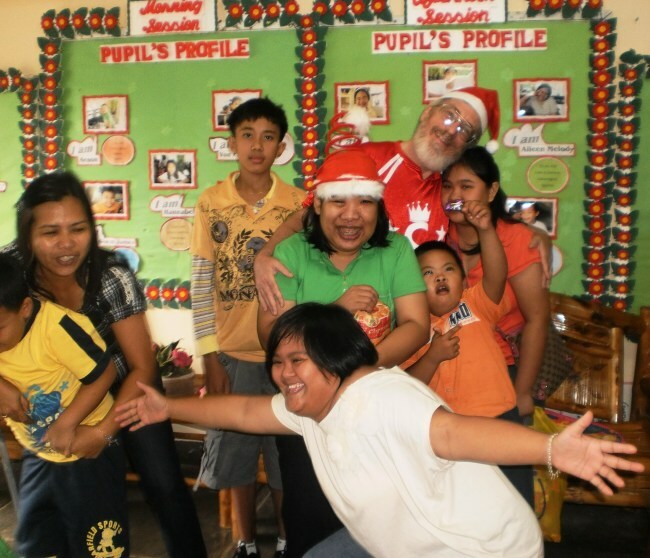 For these special students, every day is Christmas. Every day they give the gift of love.